"Art is to decor as icing is to cake." No room is complete without art to decorate the walls. We are passionate about helping our clients find the right piece of natural art that finishes off their wall decorating needs. 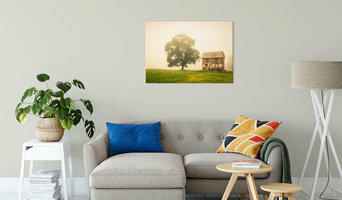 If you love nature, rural landscapes, or botanical art we have photographic prints to fit every budget from wall art prints to limited edition fine art pieces. We offer an online gallery with sizing tools and framing options for those clients that like to work on their design alone and we have print experts available to help with designing your vision. Our entire team is dedicated to helping you find the right piece that will inspire you daily. If you love nature and you’re looking for an incredible customer service experience that puts you and your happiness above all else, you have found your perfect team! Pi Photography and Fine Art is an online art gallery that specializes in landscape and nature photography wall art and fine art prints. PIPA Fine Art was established in 2010 by landscape and nature photographer Melissa Fague and is located in Bear, Delaware. Photographic topics include: •Rural Landscapes •Coastal Landscapes •Cityscapes •Botanical •Abstract Photos •Wildlife •And more. On Houzz you can shop for our Fine Art landscape and Nature Photography Limited Edition Canvas prints as well as unframed wall art prints. We invite you to visit our galleries, enjoy the exploration of finding the extraordinary in the ordinary and if you would like to read more about my journey as a photographer. With over 25 years of experience, Divine Arterior Design offers custom finishes to enhance your surroundings. 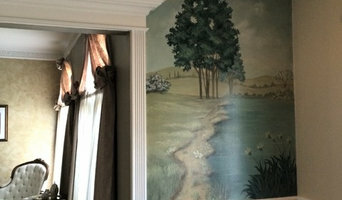 Faux finishing and decorative painting provide opportunity to design surface treatments that are exactly what you want. Think of a wall, or any surface – including cabinets and furniture, as an empty canvas which can be treated in countless ways. Whether a subtle faux-finished wall, a traditional elegant trompe l'oeil accent, or a bold intricate floor-to-ceiling mural, Divine Arterior Design can help you find an affordable solution to alter the character of any room. Mary Evelyn Zimmerman is an accomplished Fine Arts Painter, Decorative Artist, Designer and Color Specialist serving the DE, NJ, NY and Philadelphia area for over twenty years. The intention of Mary’s work is to bring creative beauty into your home and life. As an artist and designer, she specializes in using color to reflect your artistic values by incorporating the use of color psychology and fundamental feng shui principals. She creates custom multi-layered finishes that are hand made one of a kind, using patterns and colors created to fit your design needs. Mary’s designs can serve as an independent focal point or as an elegant background for your fine furnishings, art collections, and antiques. She will introduce you to comfort enhancing color, texture and creative finishes that are personalize to produce the ambiance that you desire. From start to finish, Mary provides an unparalleled attention to detail. 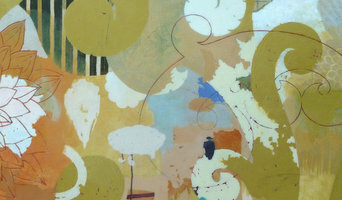 She has studied various painting styles and color theory at NYU, The Art Student League, Tyler School of Art, and BCC. 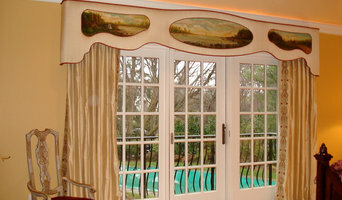 Her creative talents range from canvas paintings, painted furnishings, fine art murals and tromp l’oeil. Mary has a fresh vibrancy to her work, which can range from a captivating realism to abstract design. Her artwork carries a meaningful heartfelt presence, it conveys a story, creates an elegance and can produce a whimsical magic. She also has over fifteen years experience as a proficient feng shui interior designer. Throughout all her work, she applies color and design with a discerning and intuitive eye using the art and science of color to create environments rich with personality, inspiration and harmony. She has also lead demonstrations and lectured on decorative finishes. She has published articles on the subject of decorating the home with the intentional use of color psychology, and the human response to color. MEZdesigns is fully insured and offers full service painting with a wide variety of traditional paint products as well as low VOC and non-toxic materials, milk paint and full spectrum paint. I create mostly large statement piece paintings. Specializing in landscapes, seascapes, clouds...and even pet portraits! 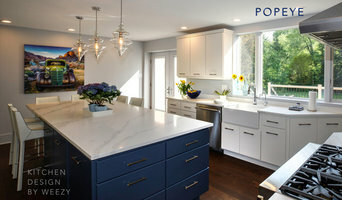 I work closely with the client and/or interior designer to create a one of a kind piece that completes the space. I paint on wood so the art can be custom sized. I can, and have painted on canvas, if the client so desires! Its a fun journey and in the end, the client is left with something they love! I have recently added pillow designer to my resume! Inspired by my original art, these little pillows are art in their own right!!! Catching the Eye. Delighting the Soul. Glass mosaics for home and heart. Specializing in house numbers and signs on slate. Margaret Almon and Wayne Stratz live in a 1900 "one bedroom-two-studio-rowhouse" in the Philadelphia area and their work finds an affinity for arts and crafts, bungalow, mission and craftsman style homes. Stained Glass of Bucks County, Inc.
A custom stained glass studio. We specialize in custom entryways, steel, wood, and fiberglass doors, kitchen cabinet inserts, decorative privacy, bathroom windows, commercial and residential work. I am a professional muralist and decorative painter working with you or your designer to create custom finishes and artwork for walls and furniture to personalize your home.